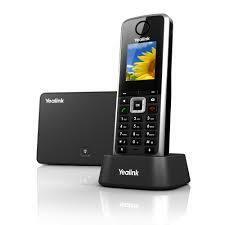 The Yealink T 20P is a corded VoIP phone that brings convenience to your every-day business. With its High Definition Sound Performance, your business calls become a more comfortable experience, no matter how many you have to take. And if you need to continue with other tasks while talking on the phone, you can use the hands-free function and still enjoy the brilliant sound quality, even in a 3-party conference. With the built in router your PC is connected directly to the internet through the Yealink T 20 P. This enables you to easily install and set up your phone – simply by downloading the configuration file support. For your ease-of-use, this corded VoIP phone features a two-line black and white display with icons, number keys and special function keys. The Yealink T 20P provides all the security you need for internet calls: its SRTP/TLS encryption makes sure that talking about business details safely remains your business only. The Gigaset A580 IP offers two ways to call your friends and family all over the world; with dual mode functionality you can easily switch between internet and fixed-line calls at the touch of a button. Even with your PC turned off, you can enjoy the convenience of internet calls in exceptional sound quality thanks to HDSP technology. The Gigaset A580 IP is multi-line so you are free to register up to 6 handsets for 6 SIP accounts from different providers and make up to 4 calls in parallel: 2 VoIP calls and 1 fixed-line call. There is a whole package of Next Generation features on this phone, including free info services such as RSS feeds, weather forecasts, a bid-watcher for eBay and an online phonebook search all directly accessible from the handset. Whether you use the easy configuration of internet telephony with PC-off convenience or the hands-free mode to talk, you’ll find the Gigaset A580 IP simply smart. And with its energy-saving ECO DECT technology, calling is better for the environment. The Gigaset A58H lets you stay in touch with family and friends in the most comfortable way. With a long talk time of up to 25 hours and a standby time of up to 210 hours, you can chat on and on. The innovative High Sound Performance provides a brilliant sound quality that makes your calls a pure experience, even when talking hands-free. The handset is HDSP Ready for an even better speech quality when talking to your contacts via a broadband connection. 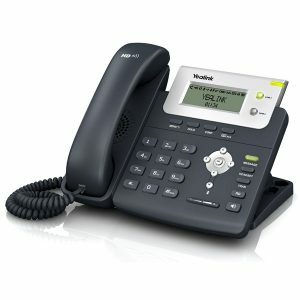 This elegant handset with its streamlined shape in Piano Black can be added as an additional handset to a base station. And the Gigaset A58H also helps to protect the environment with its innovative ECO DECT technology. Don’t support fax or any bank speed points. A cloud PBX system is a based on cloud computing technology, where data is stored and transferred over the Internet, rather than on a computer or piece of hardware that an end-user owns. Cloud technology that has been around for many years, but has only more recently become popular for consumer use with the introduction of programs like MobileMe and the iCloud, both consumer-based cloud computing technologies. 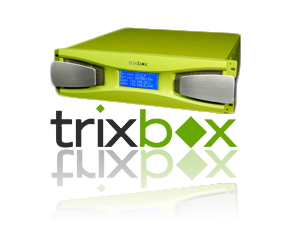 The Asterisk Voice over IP system is the most advanced PABX system available today. It brings you all the latest features of telephony and is infinitely scalable. Implement your Asterisk system with Megasurf. Megasurf’s network is purely design and setup for MegaVoIP. Megasurf does not support other VoIP providers and there QoS on the network. 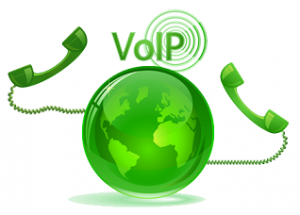 Please consult your installer before choosing a different VoIP supplier. Did you know that you can switch from Telkom to MegaVoIP without losing your existing land-line telephone number? Mobile Number Portability has been available between the mobile networks for a few years already, however, Geographic Number Portability it is now available between selected fixed networks as well. MegaVoIP prides itself in being a market leader and has been one of the first operators to offer this. Q. Which numbers can I port? A. A geographic telephone number is a number that starts with 01, 02, 03, 04 or 05. We presently allow for the porting of geographic numbers from Telkom to MegaVoIP and vice versa. Numbers starting with 080, 086 or 087 cannot be ported. 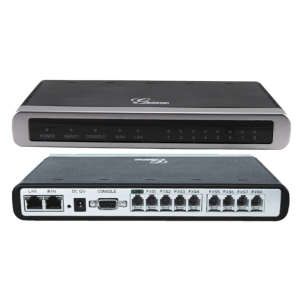 We may offer porting to/from Neotel at a future date if there is demand. Q. What happens to my existing service? A. Your existing Telkom line will be cancelled once the port is complete. Any other services provided on the same line (e.g. ADSL access) may be cancelled as well. We can not port your FAX number and BANK speed point number as this devises will not work on the VoIP gateways. Please make sure u inform us if there is any such devises on the line before we port. It is your responsibility to inform us about it. A. Up to three working days for one or more individual numbers, or, up to ten working days for blocks of 10, 100, 1,000 or 10,000 consecutive numbers. A. A once-off fee of R250.00 (including VAT) will be levied per number ported. Q. How do I order it? A. We require a letter (on a company letterhead if for a company) stating “Please port the following numbers from Telkom to MegaVoIP” and listing the exact numbers to be ported. This needs to be accompanied by a copy of your Telkom account (from page 1 up until the page showing the line rentals). If the port is to be future-dated, the letter should state the requested date (weekdays only) on which the port should be processed. You can email or fax us the documents. Q. How do I know if the number I’m calling has been ported? A. The network will play three short beeps before connecting the call if the number has been ported to a different network and cross-network rates apply. The beeps will not, however, be played if the number has been ported to the same network you are calling from an on-network rates apply. No more call roaming charges! Access your MegaVoIP service from your smart phone wherever you are! Talk | Chat | SMS all from one single application on your mobile phone over 3G or WiFi. Note: The Mobile Client can be used with any MegaVoIP Service Packages. If you have an existing subscription you may download the mobile application from here. Do so directly on to your phone’s memory using your phone’s web browser. NOTE: You MUST provide the MegaVoIP IP number on the Proof of Payment i.e. 27016xxxxxx.